The Financial Conduct Authority (FCA) is presently arbitrating a case against London resident, Alex Hope, orchestrator of a fraudulent forex scheme that is estimated to have duped clients out of approximately $9.4 million (£5.6 million), according to Bloomberg report. 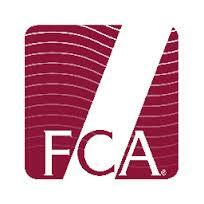 The FCA has been busy during the early months of 2014, having launched probes against benchmark manipulation, while also curbing the relentless specter of forex fraud. The British regulator recently has begun a trial to judge the fate of 25-year-old Alex Hope, who embezzled and spent client funds through a combination of casinos, nightclubs, and other non-stipulated activities. Accomplice To FX Fund Guilty By Association? The entire operation was unregulated, testimony to the guilty plea by Hope that he was running an elaborate investment scheme outside the mantle of FCA regulation. In addition to Hope, the FCA has also placed co-conspirator Raj Von Badlo on trial, given his role in the solicitation of misleading statements to clients by promoting Hope’s fraudulent fund. However, “it’s difficult to discern how much Mr. Von Badlo knew about this scheme, even though he was so actively promoting it. It seems unlikely that they would have invested with Hope if he and his wife knew what was happening with investors’ money,” Clark added in an accompanying statement. In all, Von Badlo successfully raised over $7 million towards the fund, having been rewarded for commission. The trial has just concluded its first day and unlike Hope, Von Badlo has pleaded not guilty to all charges against him. Very sad to hear of grossly irresponsible people wantonly destroying the wealth of innocent people and giving markets a bad name – I refer here of course to central bankers. I was also sad to hear of the alleged fraud in this article, but at least this ponzi scheme did not run into the trillions of dollars.